Excitement filled Alan B. Miller Hall on a Saturday morning in March as more than 50 women from 16 top universities prepared to compete in the Mason School’s third annual Women’s Stock Pitch. For the undergraduate women who came to compete, the event provided the direct, hands-on experience that will help them launch a career in an industry that is typically dominated by men. Across the globe, women are slowly paving a path to parity in the finance industry as more and more women are standing out as leaders – and many are reaching out to help guide other women into the field. Events like the Women’s Stock Pitch help to bridge the divide. Back in Miller Hall, each two- to four-person team took a turn to convince a panel of three judges that their stock was a winner. After untold hours of preparation, the teams had ten minutes to formally present and meticulously explain the dozens of charts and indices used to arrive at their recommendation. Then the floor was opened to ten minutes of questions and feedback from the judges. The teams chose stocks from a wide array of industries ranging from healthcare and banking to pet insurance and cloud computing. This year’s competition also included the first international team from the University of Sydney. The Sydney team members agreed noting that the competition offered a great opportunity to network and see how other teams learned about finance. The students were impressed with the judges who they felt really listened and asked good, thoughtful and challenging questions. The feeling was certainly mutual. For the student participants, the experience provided much more than how to apply financial knowledge. 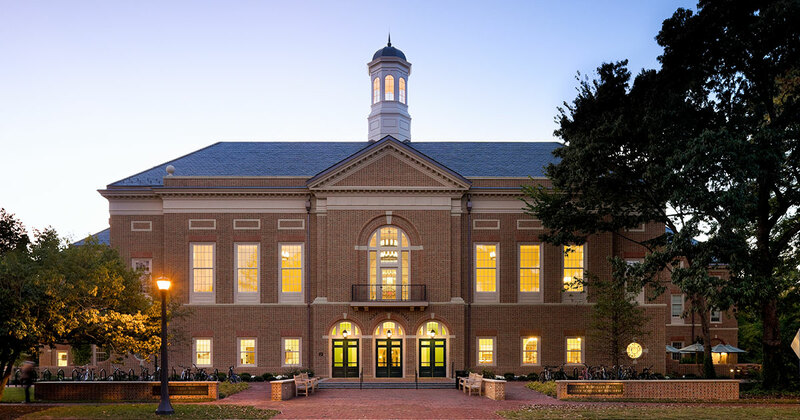 Many commented on William & Mary’s welcoming and nurturing environment as a great place to practice their presentation and networking skills. The teams were also grateful for the generous support from more than a dozen sponsors, including founding sponsors Todd ’96 and Katie ’95 Boehly and Alice Davison P ’16, who helped to underwrite student travel and participation costs. The competition was part of a two-day event which opened Friday night with a powerful keynote address from Ursula Burns, the former CEO of Xerox and the first female African American CEO of a Fortune 500 company. The stock pitch competition was followed by a Women’s Leadership Summit which brought together 125 undergraduate students with more than 60 finance industry professionals to participate in panel discussions and coaching sessions. After the preliminary stock pitch round, four teams, University of Notre Dame, University of Texas at Austin, Brown University and the University of Sydney, advanced to the finals. In the end, it was the University of Sydney’s Starbucks pitch that took home the top $2,500 award.